Tell us about your vehicle by starting with the year, make, and model. Then give us some basic information regarding the series, style, state of registration, and mileage. Additional information like, the number of key fobs you have, spare tire, mechanical, exterior, and interior defects should also be included. We would also like to know if your vehicle has always been registered in the same state, and if you have possession of the title in your name with or without a lien. We have access to Carfax and Autocheck for vehicle history reports if you would like to send the VIN number, which can be found on your title or state registration card. 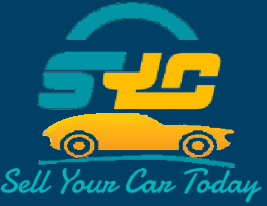 As a valued customer of Sell Your Car Today your experience is our top priority. Whether you’re communicating with us online, on the phone or on the lot our team of professionals have your wants, wishes and expectations at the top of our focus. Note: Use of this questionnaire and the resulting trade-in value is a dealer-provided quote for information purposes only. Your vehicle’s final appraisal and/or trade-in value is set by the dealer after inspection and is affected by vehicle condition, mileage, vehicle history and repairs, your location, and other factors.